This inspiration starts with a trip to New York. And the Metropolitan Museum of Art. Been there? I highly recommend it. I could spend days there. My favorite piece in the whole collection? That’s easy. 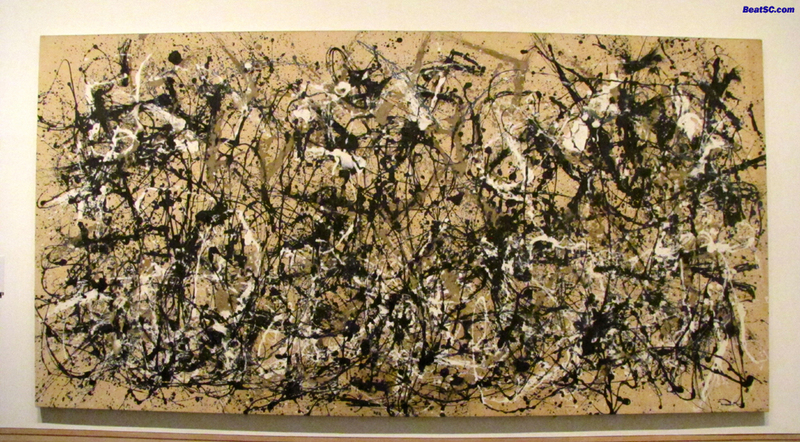 It’s that Jackson Pollock that’s bigger than a school bus. I imagine that he got drunk every night and tossed paint at this thing for years before he declared it finished. How could he possibly tell when it was finished? I was there. See? You’ll have to excuse the hat, it was much more “stylish” 10 years ago. And I also love this Rudy Burckhardt photograph of him. I love the way the photo is divided in half. 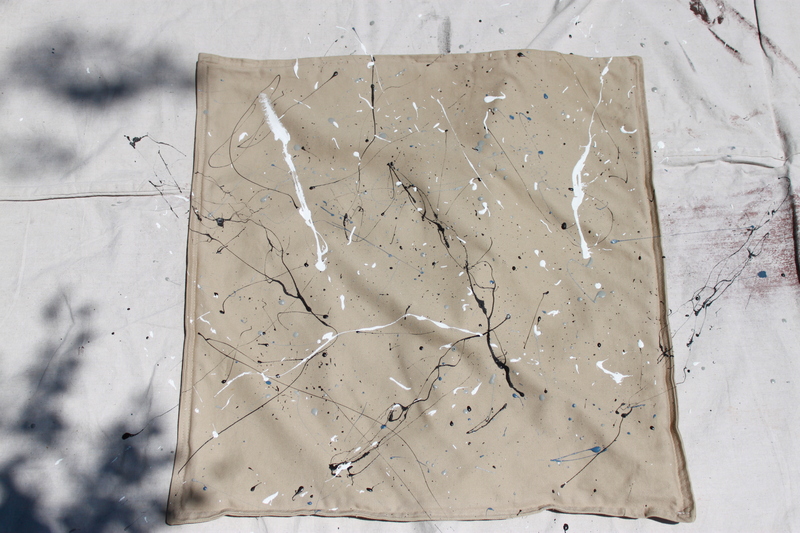 Half splatter and the other half Pollock with paint cans. For some reason, the part with the splatter looks way more organized and cohesive. Just Brilliant. 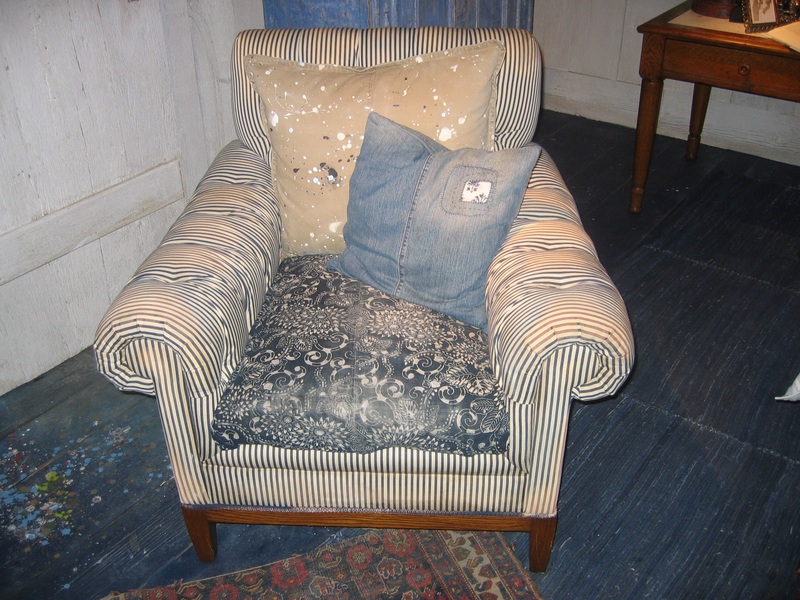 I found this picture of a chair from a past Ralph Lauren home collection of an artists beach getaway. Are you starting to see a pattern here? 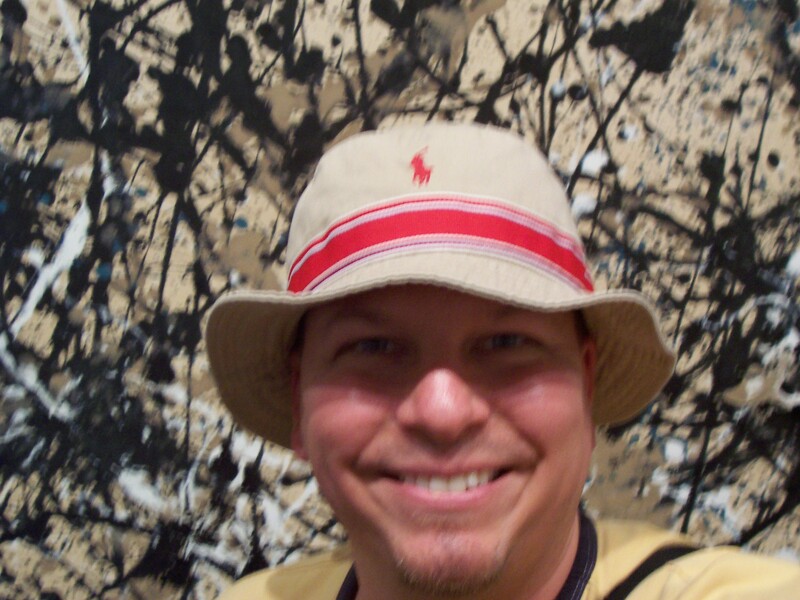 Well, not really a pattern, because we are talking about Pollock……and his art is pretty much “Anti-pattern”. We added the blue and grey to keep it looking a little more “unintentional”. I found these khaki canvas square pillows at Target a few years ago. I just removed the cheap poly inserts, and we’ll replace them with down ones when they dry. 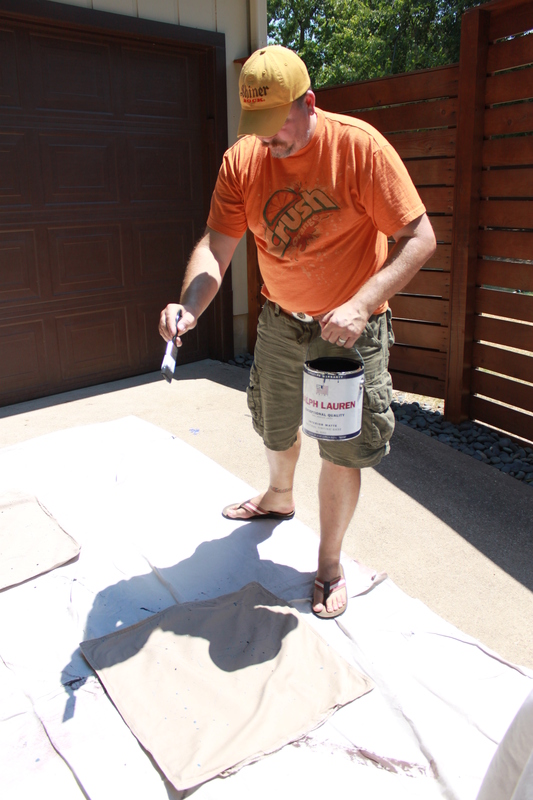 Couldn’t be easier…..drop cloth, pillow covers, cheap brushes ……and paint slinging. Of course, we did our painting sober. The Texas heat worked in our favor and they dried throughly in about an hour. We left the other side plain canvas incase we ever want just plain pillows again…..but not likely anytime soon. Prepare to have your mind blown and have a look-see at the finished pillows….. This could be a great project for a kids …..or even a couple of grown men who think they’re still kids. Thanks Ronique! 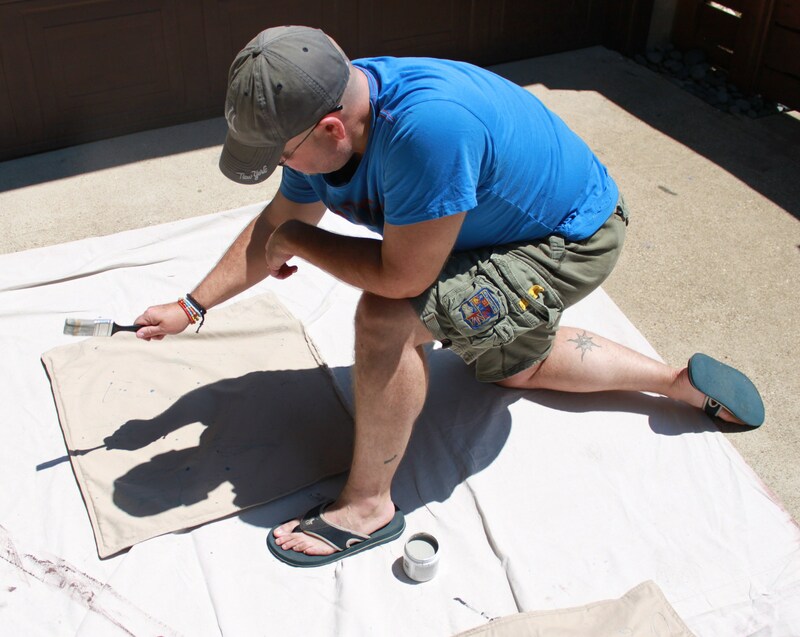 We have wanted to do these for years…and we had just a pefect day for an outside project Saturday. LOVE THEM! Wonderful job!!! 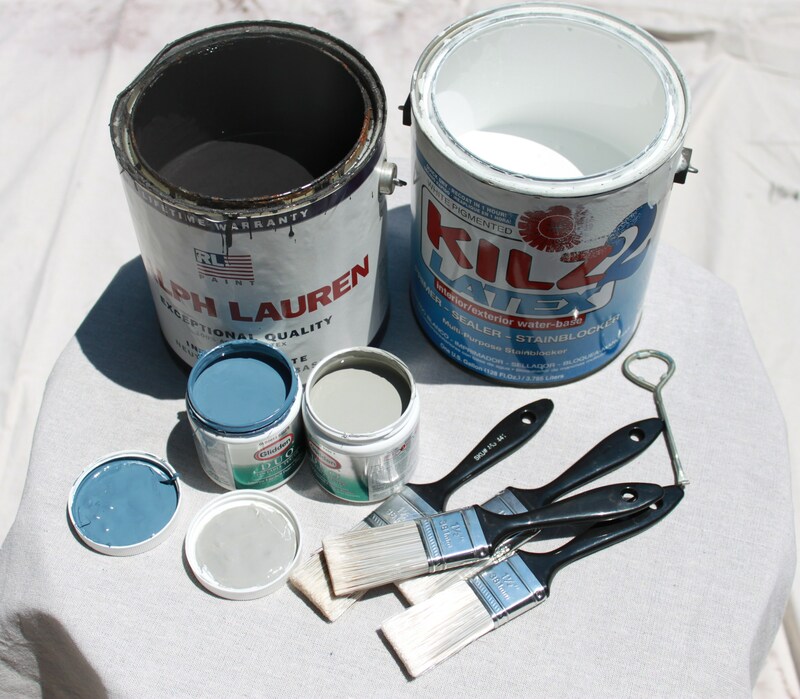 Inspiring DIY!!! Thanks Vickie, this would be a great project for kids to get in on !!!!! 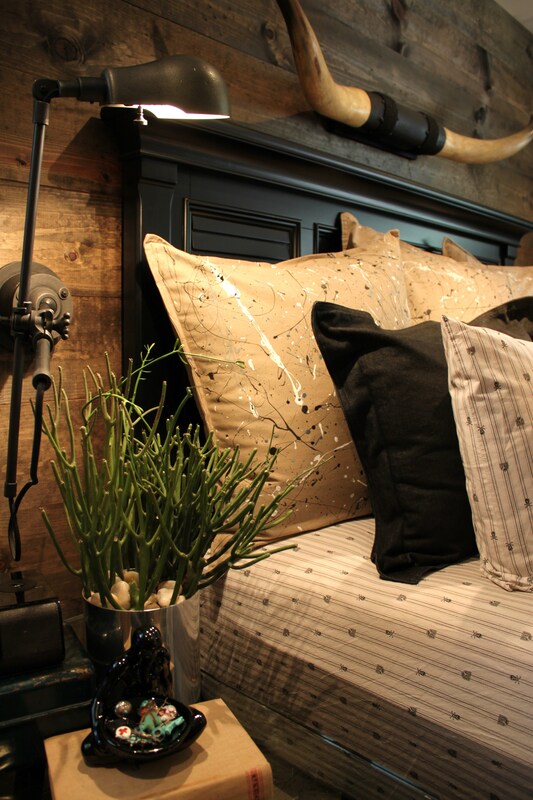 The pillows are FAB! Just love them. But what really took my breath away was the wall behind the bed! I’m a new reader so I’ll have to dig around a bit to your post about that bad boy. Would love to replicate that in our house. Great job! but we hope you still poke around the site too..
*GASP* I am undone. Such a fantastic idea! And yes, MMA is wonderful. Thanks Tamsyn, I’m pretty sure there is no “wrong” way to make them…..AND they were really fun to make too. Lordy, I do believe Bob & I would spend even MORE time in ours, if it looked like that! Aww shucks, Fred. That’s what our bedroom looks like when I’m taking pictures if it ( Jamie’s in charge if all the sheet ironing) The rest if the time the bed is a wreck and there are shoes all over the floor…….